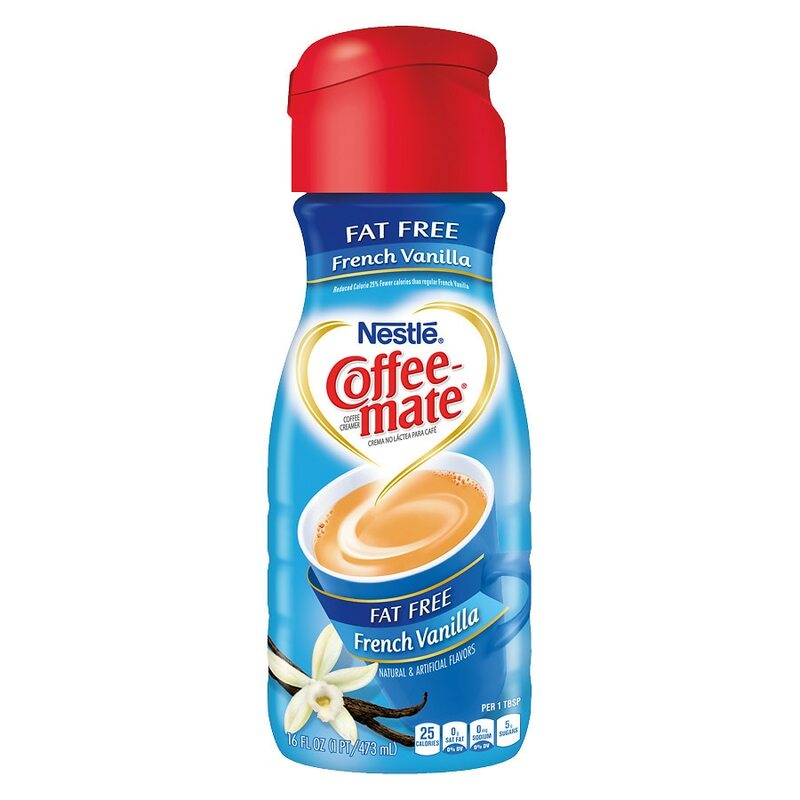 Coffeemate Fat Free French Vanilla flavor coffee creamer is the classic way to create a delicious cup of low fat creamy vanilla perfection. The perfect way to transform your everyday cup, the creamy, rich taste of Coffeemate will give you a flavorful lift that gets you going. Stir in the amazing goodness for a sensational sip that’s lactose-free and cholesterol free. With Coffeemate non-dairy creamer, you create your perfect cup every time by adding just the right amount of what you love – morning, noon or night. Whether you’re sharing with a friend or taking a moment to recharge, the rich, creamy taste of Coffeemate Fat Free French Vanilla is a great way to wake up your cup.